Hello CMOs. Pantone has released its 2019 “Color of the Year,” continuing possibly the most mystifyingly successful brand promotion going. This year’s shade is “living coral,” of course. Why would it be anything else? Now for my favorite part: the explanation. Living coral apparently symbolizes an “innate need for optimism and joyful pursuits” and “authentic and immersive experiences that enable connection and intimacy.” It goes on. And on. I’ll let you read the rest over at Time. By the way...if you’re at the Mediatel Future TV Advertising Forum in London today, do say hello. I’ll be on stage later this afternoon interviewing Xandr CEO Brian Lesser. To make sure we bring you CMO Today at the best possible time, we're testing two alternative schedules this week: delivery an hour later than usual (at 9 a.m. ET) this week, and an hour earlier (7 a.m.) next week. We'll watch the numbers closely, but you can also reply to this email to tell us your preference. Lots to sift through in the 250 pages of internal Facebook documents released on Wednesday by the U.K. Parliament. The documents show how Facebook was ruthlessly competitive (quelle surprise) and sought to hamper rivals in the pursuit of growth, gave select developers special access to data and once considered charging developers for user information. Facebook ultimately decided not to do that. A couple of interesting takeaways for marketers: The internal emails and chats suggested Facebook appeared to ask some app developers to spend more on advertising in exchange for data access. Elsewhere, in discussing access to users’ friends lists, employees stressed the importance of Facebook maintaining certain relationships, including with the Royal Bank of Canada, which was singled out as running one of Canada’s biggest-ever mobile app-install campaigns. In a statement, Facebook said the documents only tell part of the story and are misleading without full context. Also on Wednesday, Stifel analysts downgraded Facebook shares to a hold, citing the company’s internal and political issues. 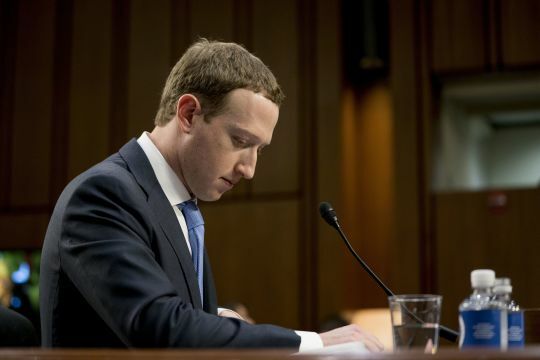 “Facebook’s management team has created too many adversaries—politicians/regulators, tech leaders, consumers, and employees—to not experience long-term negative ramifications on its business,” the analysts wrote. Elsewhere, you'll recall Chief Operating Officer Sheryl Sandberg has been under scrutiny over her handling of research into George Soros. Facebook's board of directors threw its support behind Ms. Sandberg, saying it was "entirely appropriate" for her to ask if Mr. Soros had shorted the company's stock after the billionaire investor called the social-media giant a "menace". A familiar scent can often unlock a cherished memory—the coconut sunscreen that takes you back to a family holiday, or the smell of freshly baked bread that reminds you of grandma’s house. 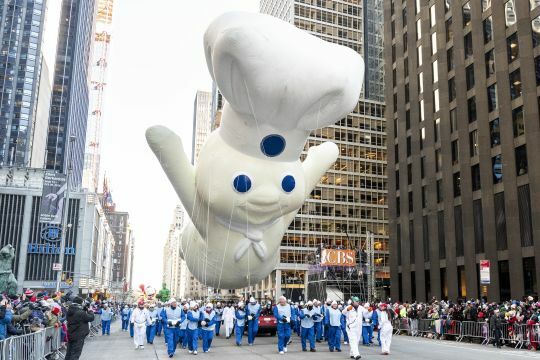 So you can see what Pillsbury was going for with its latest marketing initiative, even if the result won’t be appetizing for everybody. The General Mills brand has partnered with movie-theater ad company Screenvision to pump the smell of cinnamon rolls into 25 theaters across the U.S. while its nostalgic holiday ad plays on screen ahead of showings family movies including “The Grinch”. Smell-vertising isn’t a new concept. From “scratch and sniff” magazine ads to bus shelters pumping out the smell of baked potatoes, sensory marketing aims to move beyond the audio-visual nature of most ads to drive subconscious purchase intent (or, at the very least, some social shares). But brands need to bear in mind that our noses are particularly sensitive: One person’s sensory treasure is another person’s pong. Stressed digital publishers hoping for a solid Q4 stumbled upon a rare bit of good luck earlier this week, from the most unlikely of places. On Tuesday evening, AdExchanger reports, a mysterious big-spending advertiser paying CPMs north of $20 plastered publisher sites in the U.S. and Australia with all-yellow banner ads. The campaign spent at least $1.6 million in less than an hour, according to figures AdExchanger could verify, but the advertiser could have spent more than $10 million. The mysterious buyer was revealed as The Iconic, an Australian e-commerce site. But the fashion company wasn’t looking to spread some early festive cheer among hard-up publishers. It turns out the “night of the yellow ad,” as AdExchanger dubbed it, was due to a training mistake made by a Google team that helps customers learn how to use its DV360 ad-buying platform. But this story has a happy ending. Google said that even though the ad buys were a mistake, it will still pay publishers for the ad. Merry Christmas, one and all! The percentage of Netflix’s content library that comprises Comcast, WarnerMedia, Fox and Disney shows, according to Ampere Analysis. Correction: Due to an editing mistake, yesterday's newsletter mistakenly referred to Facebook CMO Antonio Lucio as "she." Write to Lara O’Reilly at lara.oreilly@wsj.com.